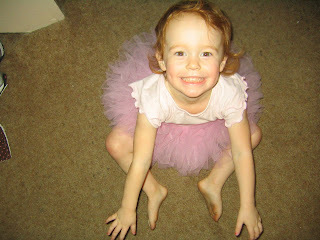 Introducing the New Tutu...Bella had been taking a dance class the past month and loves it! 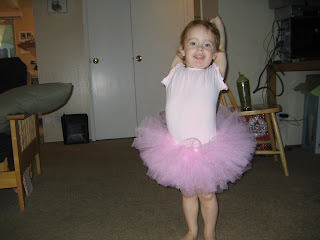 She is one of the youngest and Best dancers in her class(no I am not Bias). Previously we have been wearing a skirt we got for 99cents and sadly looks like it has no life left and needs to be thrown away. I should post a pic of it. 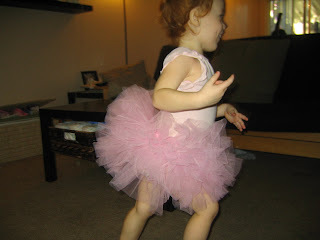 Well, we were out browsing and came across this wonderful, fru-fru, pink tutu and shall I say both Bella and I loved it! And it was cheap! 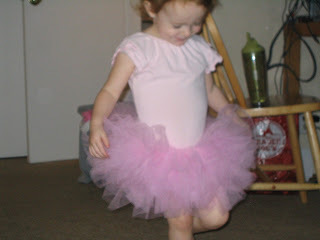 I am not a frilly mom that makes my girls were huge bows the size of their heads but I thought this was adorable. 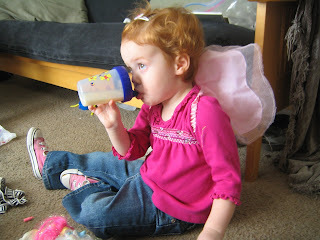 Here a few pics of Bella wearing it the minute we got home(and she didn't take it off till bedtime). Watch out dance class Bella has arrived! 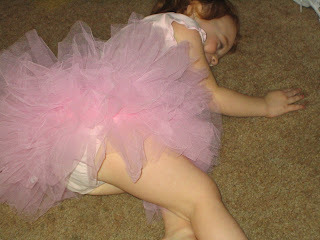 This is actually the end of her crazy dance aka photo session! Before the crazy dance aka phot session, still warmin up in t-shirt. The Girl wouldn't stop running! But look at the Poffiness(spelling?)! 3. Bella you are a silly billy! 5. Sam when are you coming home? 8. Sam is a high school teacher and good at it. It is never to early to teach your kids their vocab for the S.A.T.'s! 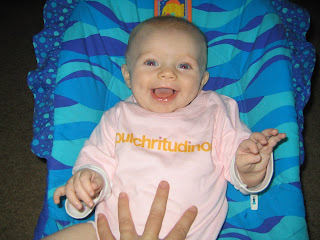 Who can tell me what, "pulchritudinous" means??? Anyone, Anyone....(Lindsey you can't guess cause I told you). I seriously can't even say the word but I won this cute onesie from a company called "SATEE's". 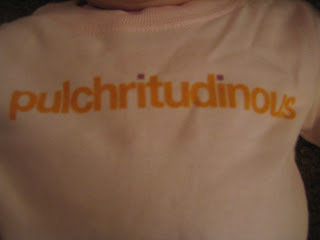 They make cute kids clothes that use vocabulary from the SAT's. Crazy I know but hey I got it for free!! And now when Sophie wears it strangers ask me what it means and I get to say, "BEAUTIFUL"
He-he, I think it is kinda cute and even Bella can say it know although it sounds a little like "Pooctoodoonus". Yay for Sophie!! She just started rolling over and over and over. She won't stop and we are so proud of her! 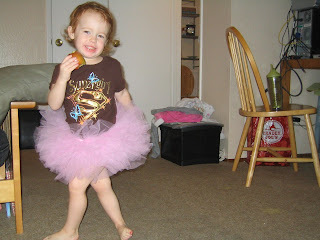 We always talk about all the big girl things Bella is accomplishing so we needed to give a Shout Out to little Sophia! Good Job my little munchkin! Okay so I thought I had until Bella was sixteen to worry about boys and her crushes. Guess Not. 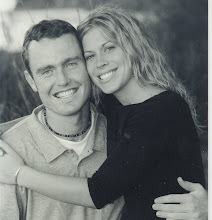 Introducing Oshyn Nobmann or should I say Bella's Man! No seriously, they have known each other since they were tiny babies but now it is soooo cute how excited she gets to hang out with him. It dosen't help that we live in walking distance from his house and his mom and I are like the greatest friends. 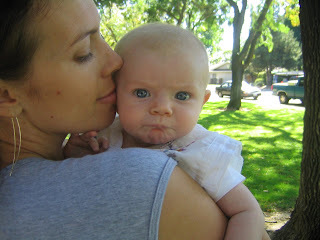 But still it is weird to have my daughter say, "Oh mommy , I just LOVE Oshyn, and I just want to kiss him and hug him." 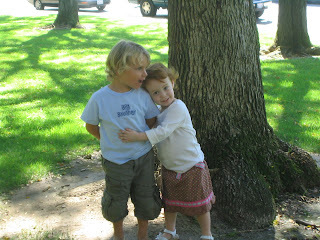 I can't decide if it is cute or nerve-racking thinking he might break her little heart! See I am not ready for this! 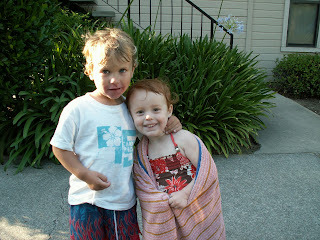 Oshyn if you are reading this(wait you can't read yet) I love you too and am so glad you and Bella are such good pals. 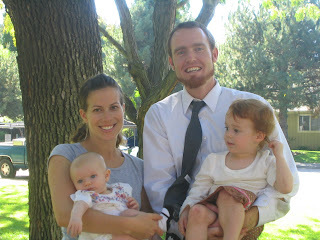 First off, don't tell Sam I am blogging when I should be cleaning. 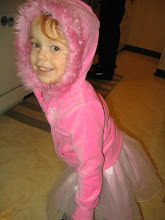 Bella has recently started a dance class although her whole life is a dance class. 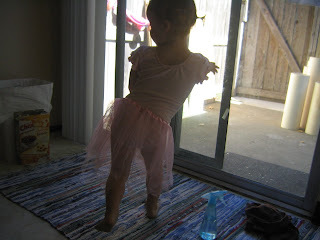 Seriously, she dances whenever and wherever she wants! Of course I love it because I miss my years of dancing! Here she is showing a couple of her moves...I wish the lighting was better! 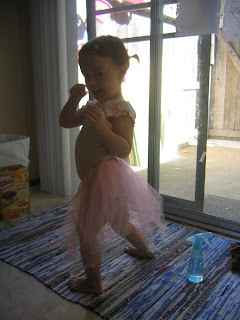 Sam and I frequently have dance parties in our house but she did not learn these moves from me! Take a look. So, Sunday was a fun day! I am so proud of my two girls. Bella bore her first ever testimony in our church. So adorable but then she started crying when Sam tried to take her off the stand and was yelling "Again Daddy". I guess that part wasn't quite as adorable. We also blessed our new baby Sophia. She is already 3 months but we have been out of town on fast sundays. Better late than Never right! Anyway, we had a few family and friends over so that was pretty cool too.